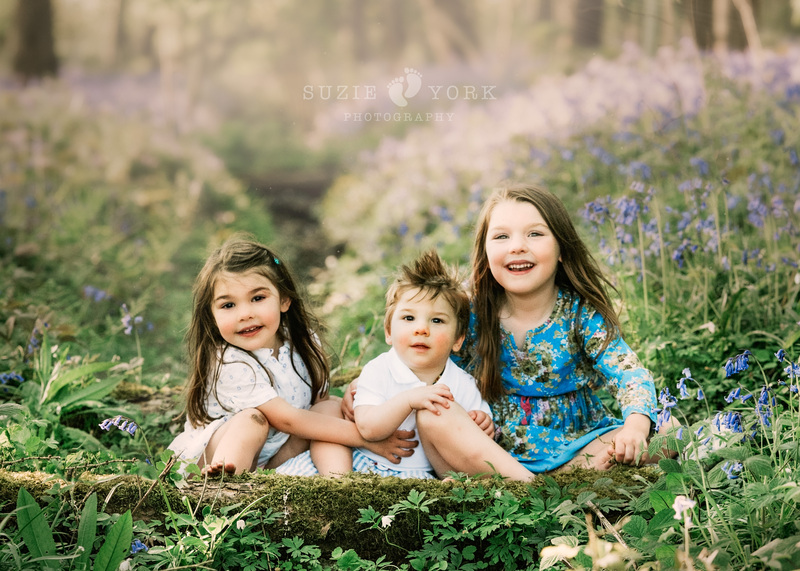 These three are just a bundle of gorgeousness that were fab to photograph. 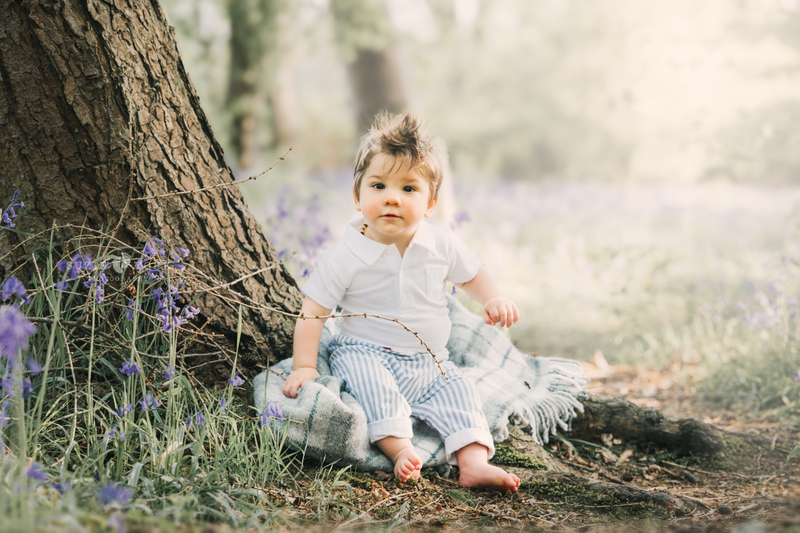 I met Audrey, Pearl and Elvis with their lovely mummy Leila on a beautiful May evening at Hagg Wood, where I usually do my bluebell mini shoots. It was early evening when the sun streams through the trees and makes the carpet of bluebells look even more magical. I started with a group photo of the three of them but stood far back so they didn’t know I was there, it also lets them interact as they usually do. 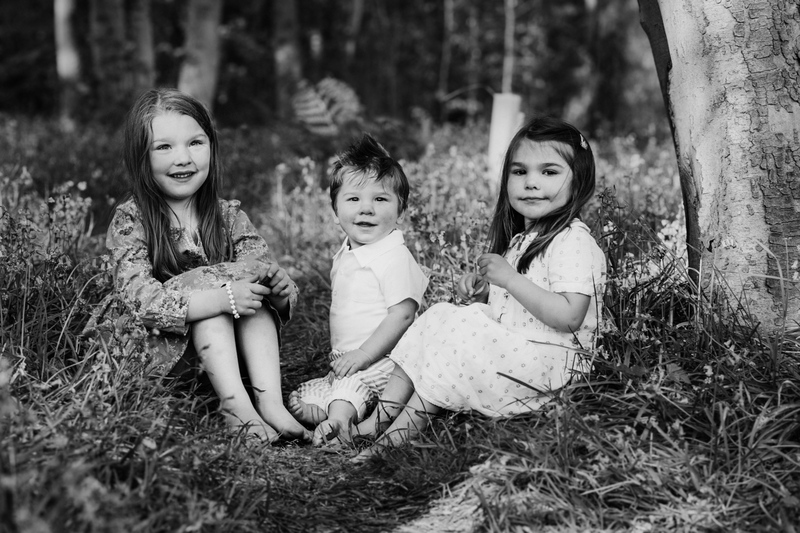 When I want children to look at the camera I usually end up dancing or jumping around (bit like a loon), which usually gets their attention and cracks a smile (or confusion!) Luckily they found me amusing and I got a great photo of them smiling and laughing. I love that Leila let them take their shoes off and wander, like little forest children. I took a few photographs of them all barefoot in the bluebells, and individual shots of Elvis. 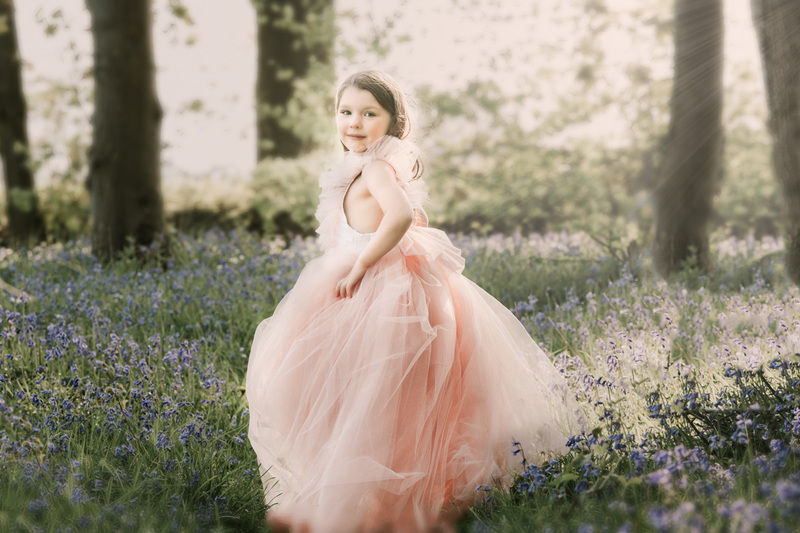 I then brought out my dress up box so the girls could play dress up, and I got some wonderful shots of them as flower fairies in the bluebells. 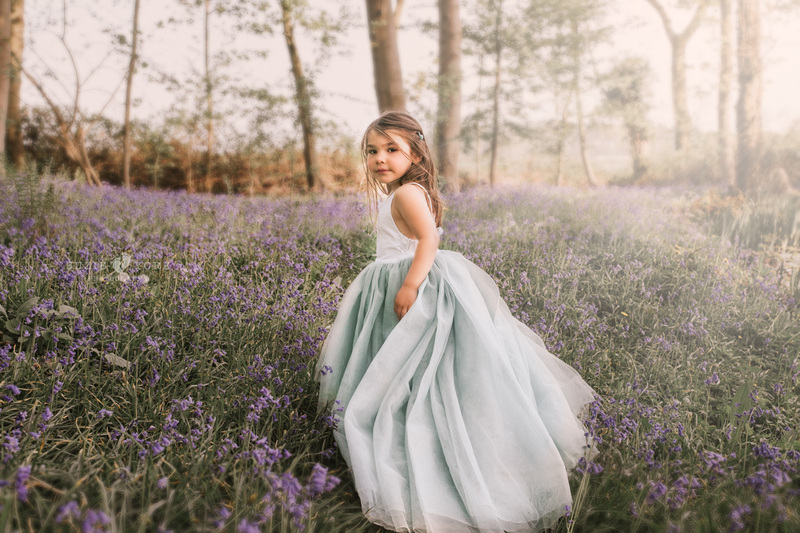 Throughout the year I offer clients mini shoots, which are great if you want to dip your toe into the world of fine art photography but don’t have the time (or money) to fully commit. They are 30 minutes long, half the price of a full shoot and you get five digital images as part of the package. Please take a look at the snapshot of the shoot below. 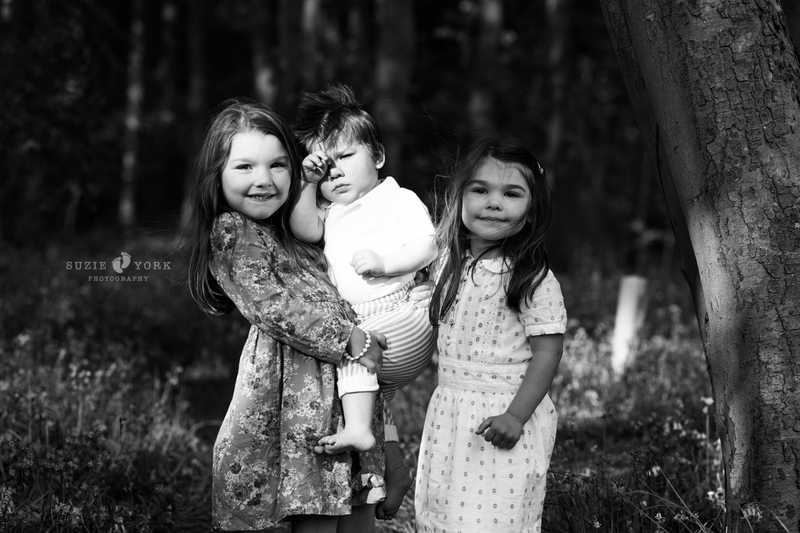 Capturing beautiful, natural light pictures of families, babies and newborns. 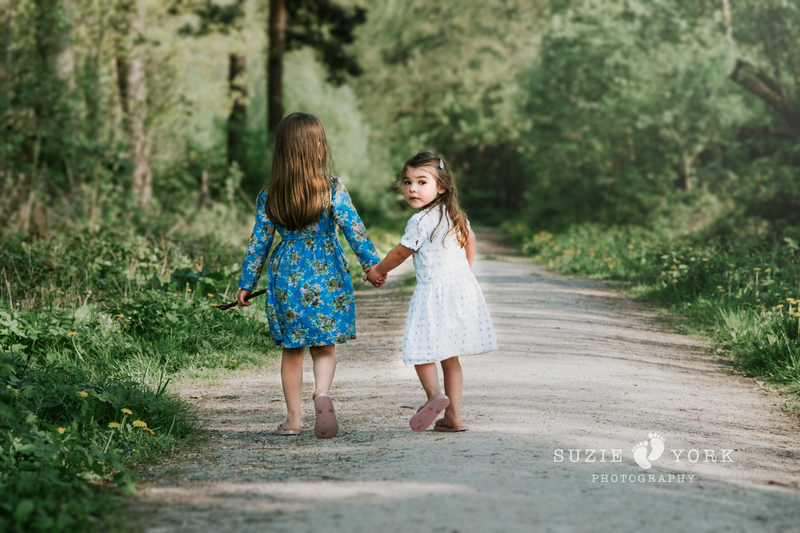 Thank you for visiting my website, if you would like more information on a photography shoot please get in touch. Magnificent Millie and Charlotte in Wonderland!